How can I change the default website for all users in SBS 2008? By default SBS 2008 sets the default website to be http://companyweb using group policy. We are often asked to change this to something else if the client is not using the inbuilt Companyweb. To change the default website for all users in SBS 2008, use the following procedure. 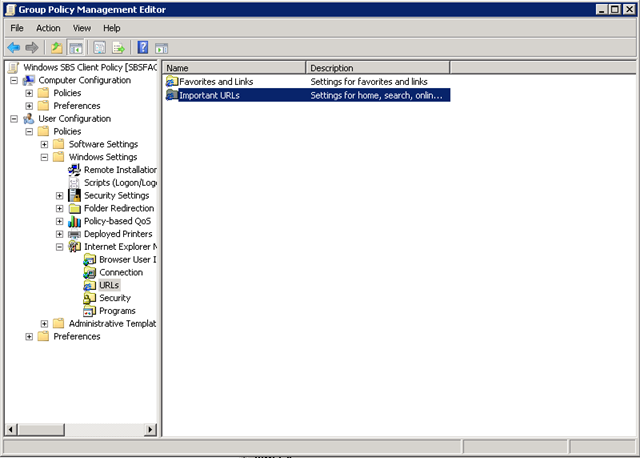 Expand the Domain tree as you can see in the screen below and locate the “Windows SBS User Policy” underneath the Group Policy Objects container. 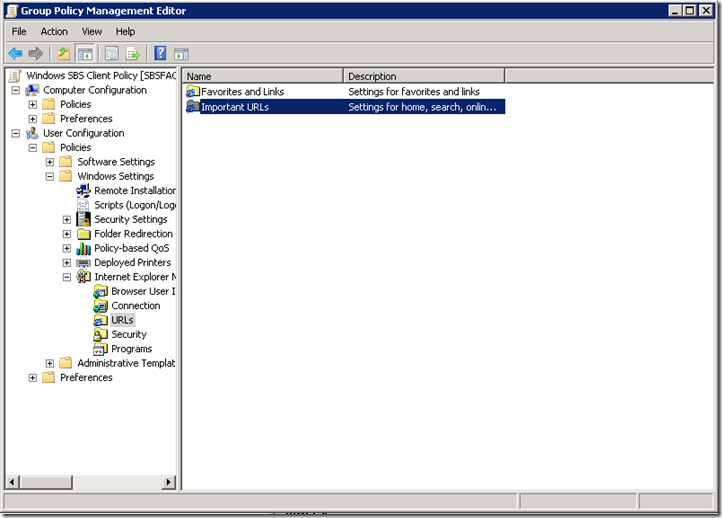 Right click on the Group policy and select Edit. 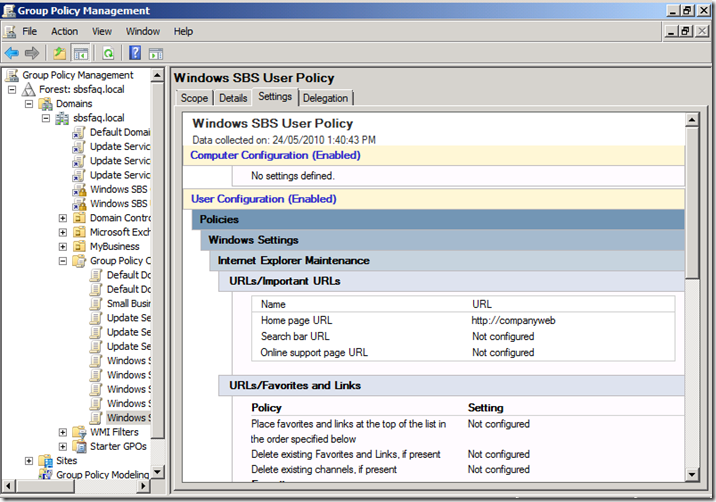 This will open the Windows SBS User Policy directly for editing. Expand the User Configuration node down to the URLs section of the Internet Explorer maintenance node as you see in the screen shot below. Double click on the Important URLs object in the right hand side and you will be able to edit the setting for the default home page to be something other than Companyweb. Once you have modified the setting, close the Group policy and reboot the users computer. This will ensure that the GPO changes are applied to the users computer correctly.